About Us – Morris Builder's Inc.
Morris Builders, Inc. is a Design/Build company that has been offering both residential and commercial remodeling to our clients for over 30 years. We execute each and every project with the highest level of professionalism and empathy to ensure customer involvement and satisfaction from concept to completion. We couldn’t do all this without our experienced team! 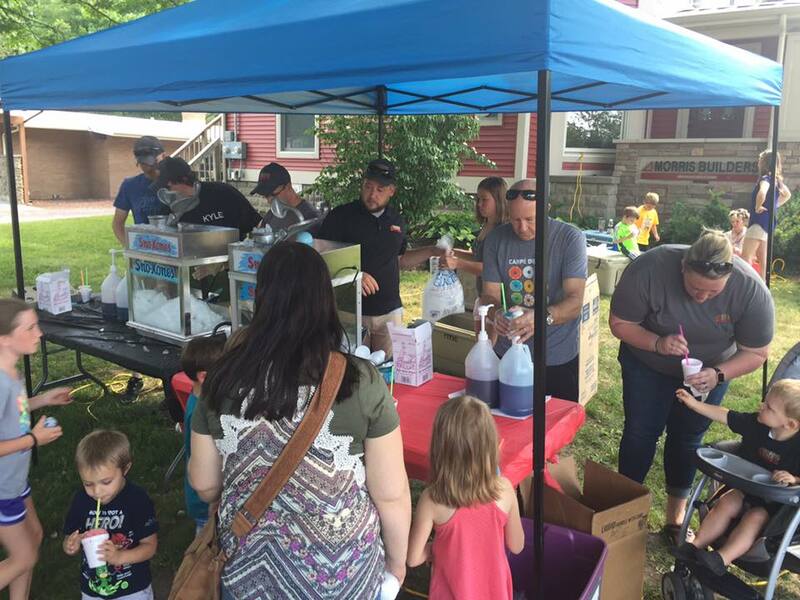 OUR MISSION: “We shall maintain a strong community involvement and reputation in Greater Grand Rapids area. Morris Builders, Inc. is known as a quality minded and friendly remodeling team to work with.“ We’re conveniently located downtown Rockford just 2 miles east of U.S. 131. We can’t wait to meet you and we look forward to building a relationship with you and your family! Kirk began his career immediately after high school, working for custom homebuilders. Later, he began working for a custom furniture company specializing in Frank Lloyd Wright reproductions. It was there that he learned the importance of detail. 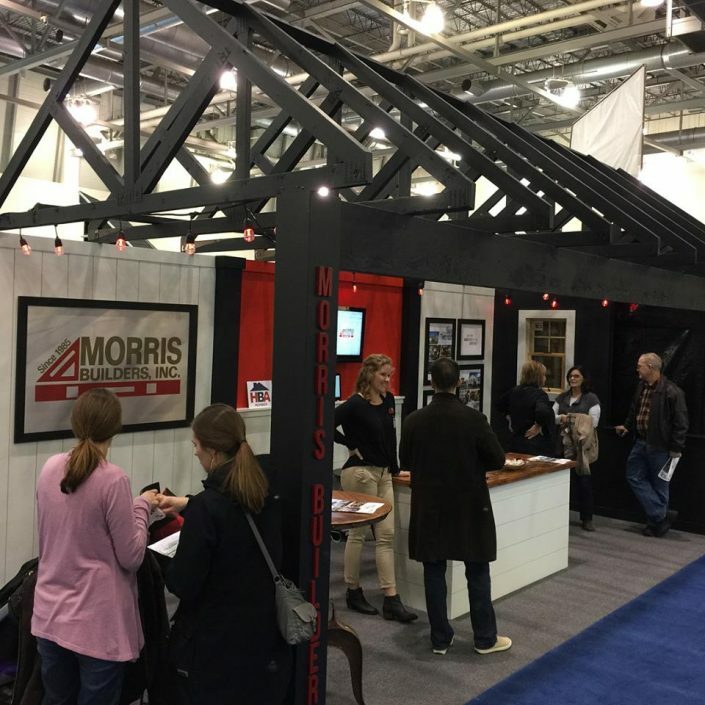 In 1985, Kirk decided to pursue self-employment, and Morris Builders was founded. Initially focusing on residential construction, by 1992 Morris Builders was specializing in custom remodeling. As the business grew, Kirk asked Joy to leave her career with Alticor (Amway Corporation) to join the company. Joy’s outstanding customer service skills added a new dimension to Morris Builders. Together we strive to provide exquisite craftsmanship and personal service to our customers. Value and trust are the top priorities of the Morris Builders, Inc. team. With 30+ years of knowledge and experience, our professional team is comprised of office staff, full-time estimators, a full-time designer, accounting staff, and project managers. Our estimators are the best in the business, providing accurate building construction costs based on decades of industry recognition and trust. One of our largest assets is our skilled carpentry crews who maintain Morris Builder’s assurance to always remain committed to quality workmanship, honesty, and the needs, desires, and feelings of our clients. Our family owned mentality is the backbone of Morris Builders. 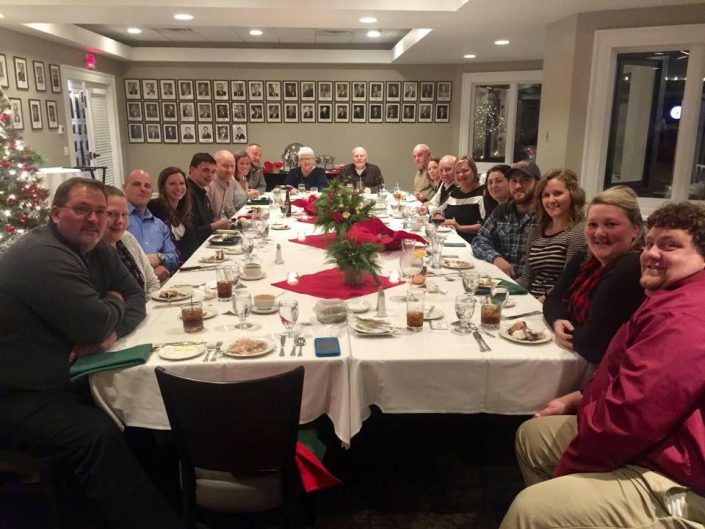 When our projects are done, we’re not only in our clients family, they are in our family. With his father and grandfather both involved in construction, building is in Kirk Morris’ blood. In high school, he discovered his own passion for this career and was soon working with a crew, building homes from the ground up. Subsequent positions afforded him wonderful experience first in carpentry and then in concrete. In 1985, Kirk drew on his expertise and talent and struck out on his own to begin Morris Builders Inc.
Much has changed since the first days when he acted as everything from roofer to cabinet-maker to clean-up crew. But one thing that remains constant is Kirk’s dedication to hard work, high-quality results and being honest and fair with clients. Kirk continues to expand his knowledge and enhance his skills and efficiency through membership in Remodelers Advantage and through the classes, seminars, and committees offered by the Home and Building Association of Greater Grand Rapids, which he joined in 1987. “I truly love what I do every day”, he shares. What Kirk enjoys most is the challenge of remodeling and the gratification that comes with doing a job well and seeing a client’s smile. Originally from Belmont, Michigan, Joy Morris attended Davenport College before working at Amway Corporation. Trying her hand in several different departments over 12 years, she found her niche in Distributor Relations. Yet after years of deliberation, Joy made the decision to leave that job and join her husband Kirk at his business, Morris Builders, Inc. Looking back, Joy sees this move as the best thing she’s ever done. As a co-principal and sales consultant, her favorite part of the job is working with clients. She loves taking part in their excitement and making their dreams come true. 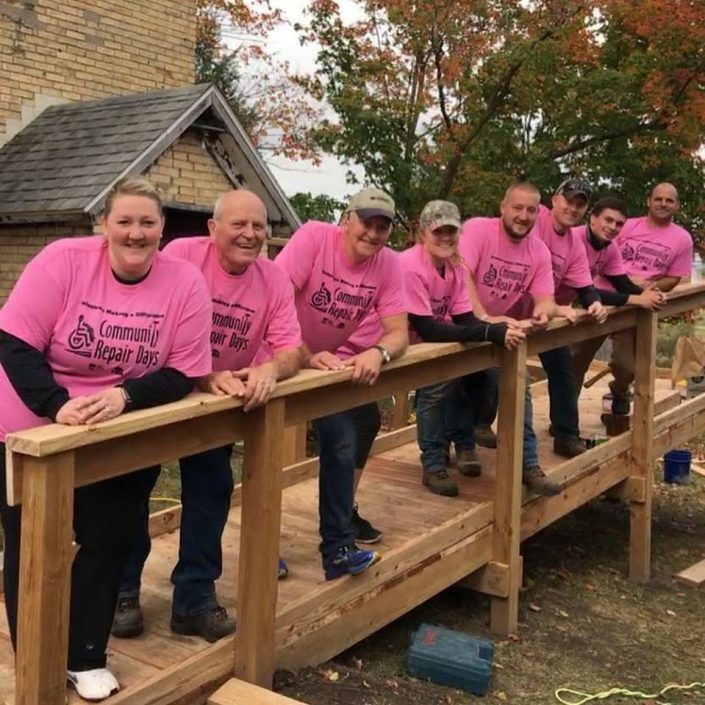 Although she acknowledges that balancing work and a family can be challenging, she credits the success of the business with the great team assembled at Morris Builders, Inc. That team of course includes Kirk, her husband of 25 years. Joy shares that they’re great partners because she benefits from Kirk’s eye for detail, and her energy helps fuel each project. After 23 years of hard work and long hours, Joy continues to maintain an enthusiastic commitment to the remodeling business and to creating stellar customer communications. Building and remodeling has been Gavin’s life from the beginning, with Kirk and Joy Morris teaching him the techniques and in’s and out’s of construction work. As Gavin grew up working side by side with his father, so did his knowledge and his motivation of home building and remodeling. “Every day is a new challenge and I learn something new to bring to the next project”, says Gavin. Gavin has completed his Bachelor’s degree of Business Management with a Specialty in Entrepreneurship at Davenport University. Gavin was part of the Davenport’s Men’s Lacrosse program that won their first Division National Championship title. Gavin feels this has taught him some very good life lessons and he feels he will be able to integrate his ideas into the Morris Builders team. When undertaking a new project, your needs and wants are paramount. Aubrey always takes the time to truly listen to your goals and desires for the project, and as an adaptable and professional interior designer, she is open to working with any style from ultra-modern to French country. Each project begins with a clean slate, the direction coming from discussions with you. How is the space used? How do you want the space to feel? Storage needs? What is your budget? Fully understanding how you use the space in your day-to-day life enables her to help you live or work better and more comfortably. Aubrey’s educational background in interior design, architecture, and growing up in the family business, combined with a diverse background and passion for problem-solving and designing, positions her as an unconventional design professional fully capable of taking your project vision and making it a reality. Building has been a part of David’s life since he can remember. Throughout his life he has tried working different jobs but has found that what truly makes him happy is building. Creating something out of nothing or giving new life to something old. David loves working outside and getting his hands dirty. He has found that remodeling homes always presents new challenges which he really enjoys. He appreciates the gift of learning that this trade continually offers. It gives him drive and inspiration for each day. In his spare time, David works on his own home, restoring it to it’s previous glory. He also has a love for all kinds of fishing, whether on the river or on the ice. Born and raised in West Michigan, Mark graduated from Central Montcalm High School and went on to study at Alma College. After college, Mark worked with the Department of Corrections for 14 years. He gained his building experience later on while he worked as an Estimator for Big L Lumber for 10 years. When he isn’t hard at work, Mark enjoys hunting, attending sports events, spending time with his wife Tammie and traveling. Mark also finds time to give back to his community by volunteering with the CMHS Sports Boosters and coaching youth football which he has done for over 15 years! Born and raised in West Michigan, Gerry graduated from Rockford High School. Gerry has over 45 years of experience in the Building industry and is considered a “Jack of all Trades” here at Morris Builders. Gerry and his family are close friends of the Morris Family and even babysat Aubrey and Gavin as children! Gerry’s work ethic, dedication and humor motivate the Morris team every day. Gerry feels the Morris commitment to quality and family, make us stand out as an employer. In his spare time, you’ll find Gerry tinkering with antique trailers or camping with his family, including his wife Ruth Ann, his 3 children and 6 grand children. From beach houses in California to basements in Colorado, Sierra has done her share of different styles and designs in the remodeling and new construction field. With a Bachelors Degree of Fine Arts in Interior Design from the Design Institute of San Diego, she is constantly looking forward to each client’s different taste and functionality. After growing up in California, and spending 2 years in Colorado, Sierra is ready to settle down in Michigan and get into more of each construction field. She has worked in design/ remodeling as well as construction drafting for builders and architects doing everything from small bathroom remodels to brand new construction nationally. Sierra tries to spend as much time on the job site as she can to increase her construction knowledge and hopefully build her own home one day. She and her husband enjoy going to race events, discovering new breweries and anything with their two dogs. As Morris Builders Office Manager, Andrea is responsible for all office procedures, and uses her organizational skills to ensure smooth operations in a busy work environment. Andrea regularly finds herself drawing on her entrepreneurial skills and her education in Business and Real Estate. Prior to joining the Morris Builders team, she co-owned a local deli and catering business in Rockford. Originally from Cleveland, Ohio, Andrea was a successful Realtor for many years before migrating to Michigan 8 years ago. When not hard at work at Morris Builders, Andrea enjoys spending time with her teenage daughter, exploring Grand Rapids restaurants and arts, working in her yard and hiking with her dog. Andrea also founded and serves on the board and as Treasurer for a local non-profit. Mitch is a Carpenter with Morris Builders Inc and is excited to bring his skills and knowledge to the company. He was born and raised in Southwest Michigan where most of his family still resides. Coming from a family of custom residential builders, Mitch has spent most of his life involved in the construction industry. He has a bachelor’s degree from Oakland University and has spent the last eight years in the Metro Detroit area working for a research corporation. Mitch and his wife recently moved to the Grand Rapids area and he has decided to pursue his lifelong passion for building. In his spare time he enjoys trout fishing and spending time outdoors with his wife Renee and their border collie Riley.